It rained all night. In the morning it rained again and it did not stop raining all day. We awoke at 5:30 am and broke camp at 6:15. We night hiked with headlamps for the first three (3) miles. The rain was constant. Everything was fine until Doug’s headlamp went dead. 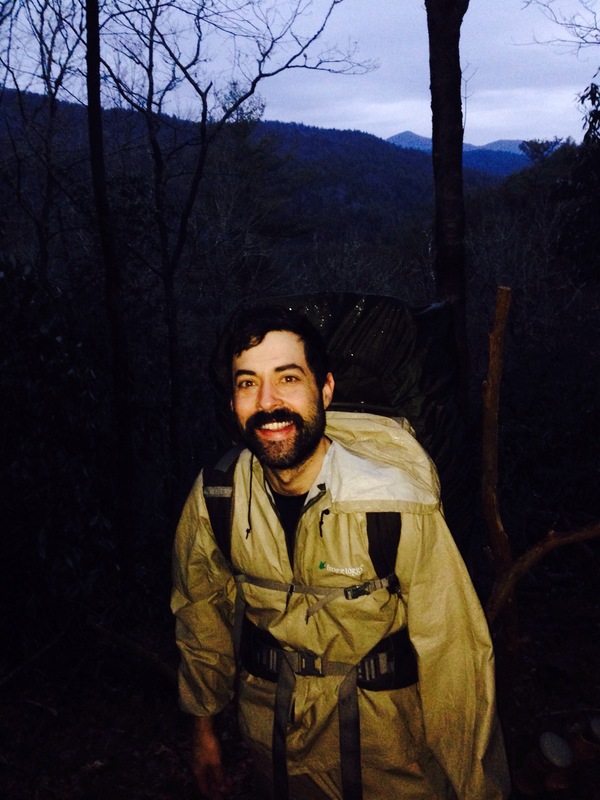 He followed close behind my heels as we descended Medlin Mountain into the Chattooga River Gorge. By daylight we made our way past Burrell’s Ford and took the spur trail to see King Creek Falls. 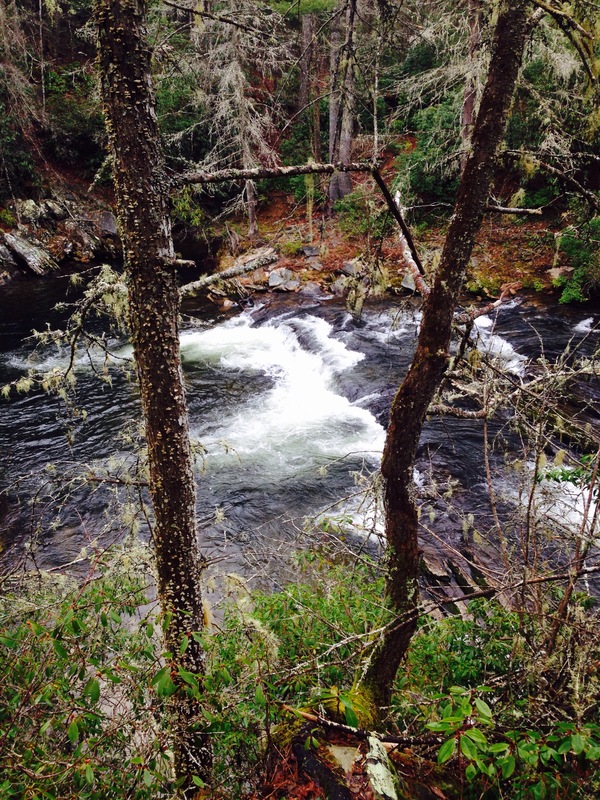 The next ten (10) miles meanders by the Chattooga River, a Wild and Scenic River. 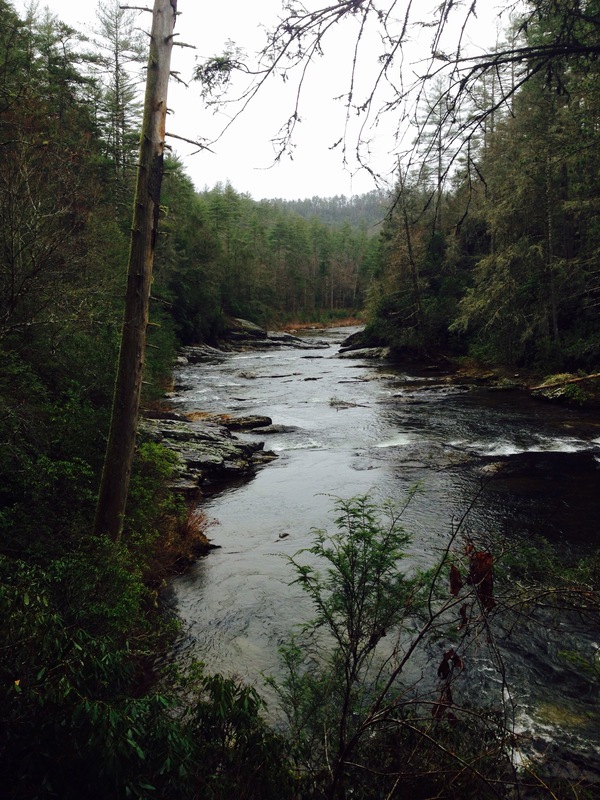 The Chattooga is magical. 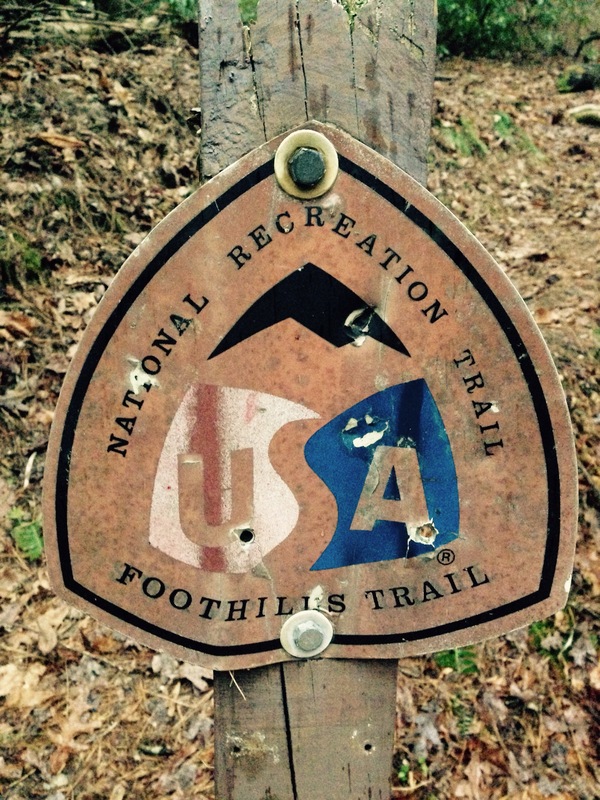 The last six miles meander through sweeping Foothills with incredible pine trees. 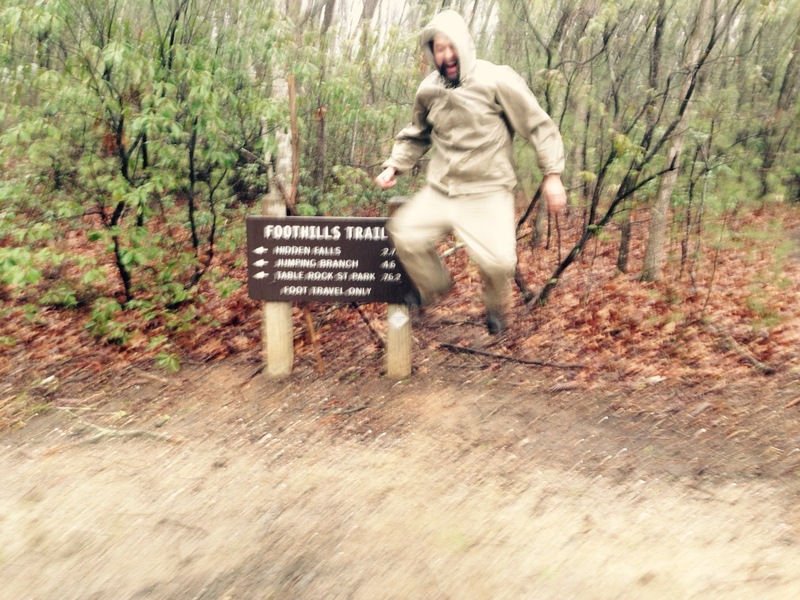 The rain drove against us; it started getting colder, until we finally made it to the southern terminus of the Foothills Trail. We had done it; my first long hike was complete. 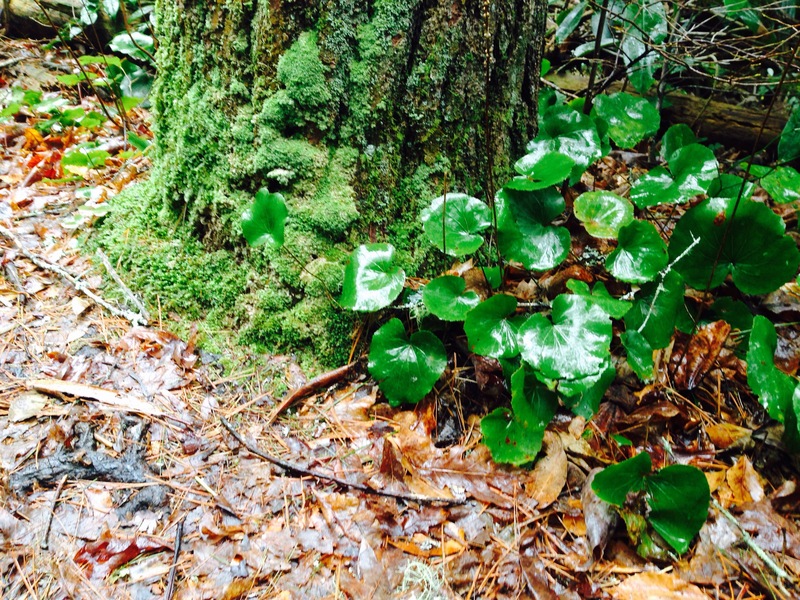 For the past week I have been ruminating on spending the week on the trail. Last Saturday, we went to a restaurant in Asheville to have lunch. As we sat down in the crowded patio of White Duck Taco, I looked around. There were very few tables open. People were watching them like hawks. When one became open, they rushed forward to grab it. If they didn’t get it, they were upset. One woman confronted an older couple informing them that they didn’t have enough people in their party to eat at that table. What frivolity. I looked down. I was so happy to be warm, to have food that was so good, to have water, to be with my family. This was all I needed in the world at that moment. I was happy. I was content. Our present culture is infected with anxiety like a disease. 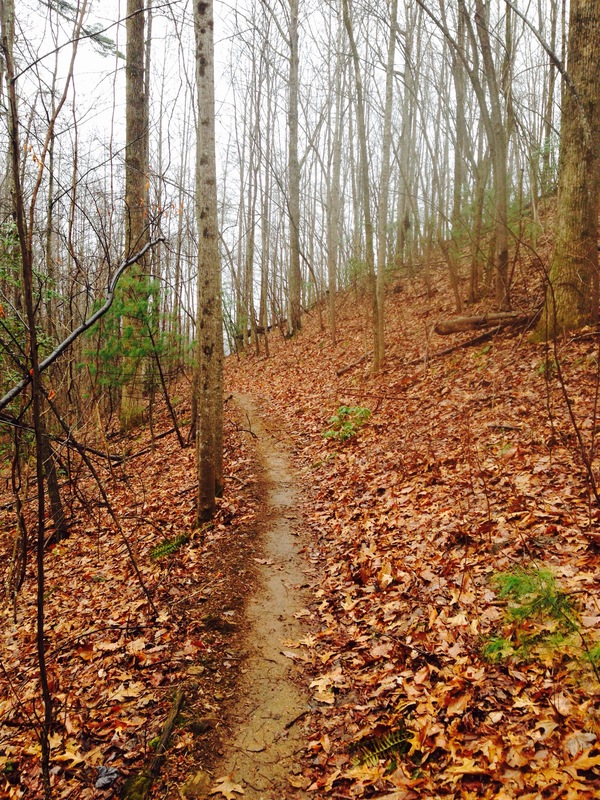 In that moment I understood the power of the trail, the influence it had on my life. 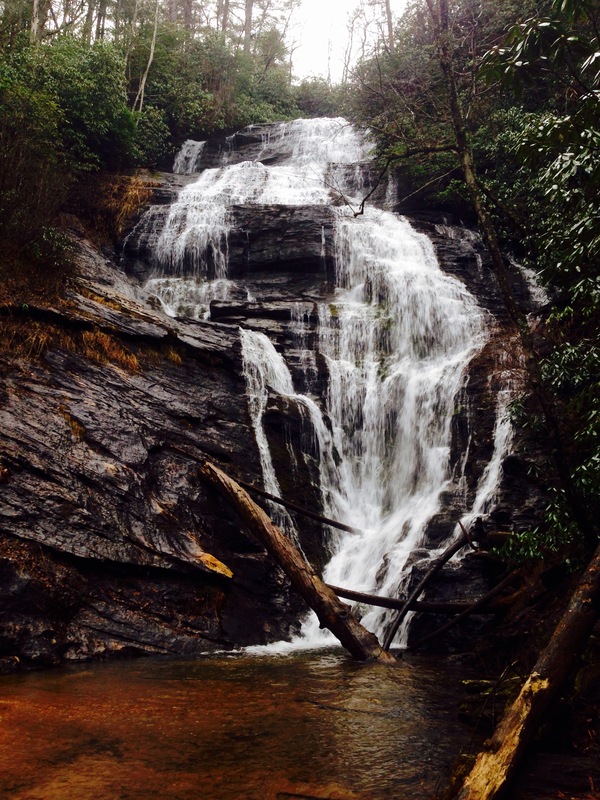 I can’t wait to get out and hike again. Total mileage for the last day is 20.3 miles. 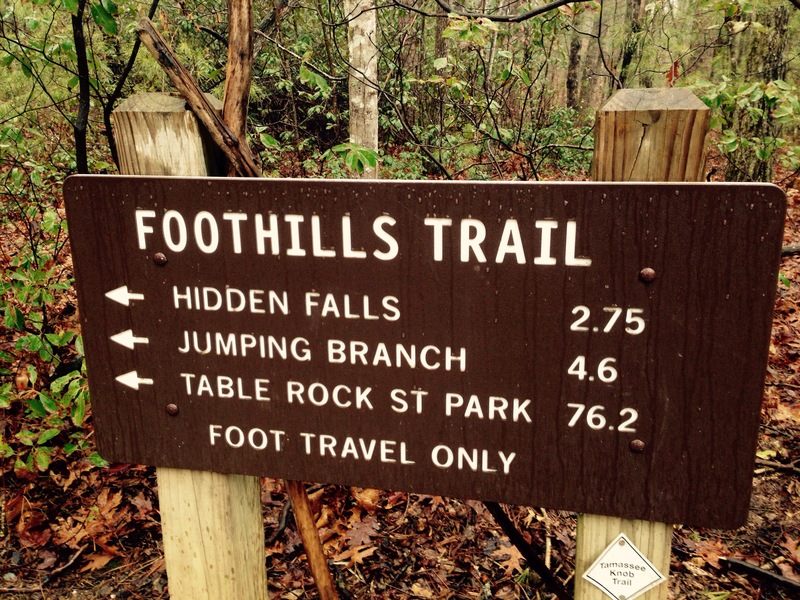 Total mileage for the Foothills Trail is 76.2 miles.